This year will mark yet another milestone in Russia’s steady post-1990s demographic recovery, with the population minus Crimea hitting 144.0 million as of January 1, 2015 [XLS link], relative to 143.7 million in the same period last year. (Excluding Crimea is, needless to say, done not out of political considerations, but to retain the appropriate base for comparison). Though figures for December will only be out in about two weeks’ time, the picture for January-November is positive; despite the continuing pressures of population ageing and the decline in the numbers of women in their childbearing age as the small 1990s cohort enters adulthood, both natality and mortality figures improved slightly relative to 2013. 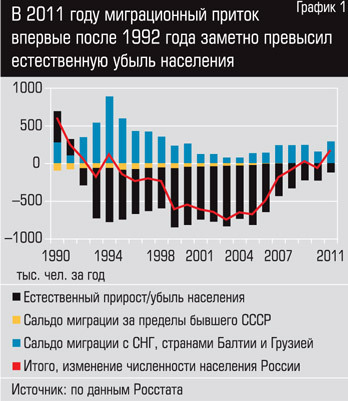 For the second consecutive year running in its post-Soviet history, Russia’s births will substantially supercede deaths. Below shows a summary from state statistics service Rosstat. But will this happy state of affairs last? Mark Adomanis and an email correspondent known as “Doug” suggest that the turnaround has come to an end. They are both serious and intelligent people who know a lot about both demographics and Russia, and I am in qualified agreement with most of the points they make. But they might be slightly too pessimistic. Although in the middle term a cessation and perhaps limited reversal of Russia’s demographic uptrend during the Putin years is virtually inevitable, there are a number of factors that will likely soften and considerably mitigate the end of Russia’s demographic uptrend. Below I will list a summary of their main points and my comments on each one of them. One, most obviously, the “empty cohorts” of the 1990s are now hitting peak reproductive age. So far, that’s been balanced out by a rise in TFR [AK: Total Fertility Rate, an age structure-independent measure of the birth rate] — there are fewer women aged 20-25, but Russian women overall are having more kids per woman. But it seems a bit premature to declare that this will continue to be the case. – Doug. I always considered the idea that TFR would keep up with the falling numbers of women in their childbearing age to be extremely unlikely, as it would require the TFR to eventually rise above that seen in any other developed country bar Israel. Anybody reading through my demography archives will see this being emphasized repeatedly. According to my simulations from 2008, if the TFR now remains constant at its current rate of 1.7 children per woman, the crude birth rate will fall below 10/1,000 women by 2025 – today it is at what will likely be a local maximum of ~13.3/1,000 – before bottoming out at around 9/1,000 in the early 2030s. Even if the TFR were to rise to 2.0 children per woman, equivalent to that of the most fertile Western countries like France and Ireland, the crude birth rate by 2025 will still be 11/1,000. That said, natural population increase is a function of both birth rates and death rates, and there is very ample scope for further improvements in the latter. In the early 2000s, the death rate was at ~16/1,000 and average life expectancy was at just 65 years, mostly due not to any great defect of the healthcare system – after all, even many properly Third World nations achieve life expectancies in the mid- or high-70s – but to the region-wide alcoholism drinking, in the form of vodka binge drinking. Despite the continued pressure of an ageing population, a rise of the life expectancy to 71 years by 2014 was accompanied by a reduction in death rates to 13/1,000. If these trends continue and life expectancy continues rising, reaching 75 years by 2025 – by no means an unrealistic prospect, based on the prior experience of Finnish Karelia and the Baltic states in battling their own alcohol epidemics – then Russia’s birth rates and deaths rates should continue to more or less move in lockstep to each other. The sign might be a plus or a minus, but contingent on the continuation of current trends – a TFR of around 1.7-1.8, and moderately fast improvements in life expectancy – the magnitude of natural population growth (or decline) will be very small. Two, the impact of the recession. Recessions almost always depress fertility, and there’s no reason to expect this one to be different. You’d also expect the recession and the weak ruble to affect the immigration / emigration balance. – Doug. As Russia’s economy was growing, wages were increasing, jobs were plentiful, and housing was, if not readily available, than a lot more available than it had been in the past. Russian workers might not have had it great in comparison to their Western peers, but they had it a lot better than at any other point in their history. The rather banal result of this, still rather modest, economic bounty was that people felt more comfortable starting and expanding families and that lots of “guest workers” form the rest of the former Soviet Union moved to Russia to find jobs. However now that Russia’s economy is set for a nasty recession of indeterminate length, and now that real incomes are getting hit by a combination of currency weakness and inflation, it’s not terribly surprising that its population dynamics are starting to weaken. That’s exactly what you’d expect to happen when a country suffers a sharp short-term economic reversal. Despite the Kremlin’s loud protestations of exceptionalism Russia is not, in fact, all that different: when you hammer the population’s standard of living they react accordingly. – Mark Adomanis. A comprehensive economic collapse followed up with austerity policies can definitely torpedo Russia’s demographic recovery. See the Latvian experience after 2008, or the complete shipwreck that is post-2010 Greece. What’s important is not so much the depth of the economic collapse as the effect it has on social policies. Back in 2009, Russia’s GDP fell by an impressive 8%, but its demographics continued improving nonetheless. That is because the Russian state, flush with accumulated hydrocarbons revenue, could easily avoid implementing painful austerity policies. 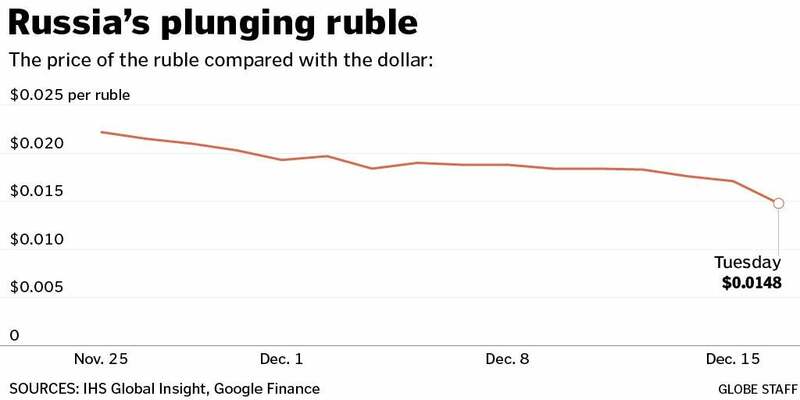 The consensus estimate for the coming Russian recession is a 4-5% fall in GDP, and there are no plans to cut social spending this time around either. Having chosen currency devaluation over internal devaluation through austerity and wage cuts – unlike aforementioned Greece and Latvia, who have no influence over EU monetary policy – the Russians worst affected will be already well-off regular consumers of imported produce, whose fertility rates are the least affected by economic considerations. These types of recessions tend to be short but sharp. Surprising everyone, Russian industrial production actually increased by a solid 4.1% this December y/y, and there are several other encouraging leading indicators suggesting that this recession is likely to be pretty mild. Because migration flows are so much more directly dependent on the economy – a Tajik working as a Gastarbeiter in Russia will now, effectively, earn twice less in the US dollar equivalent than a year ago – net immigration can reasonably be expected to decrease. 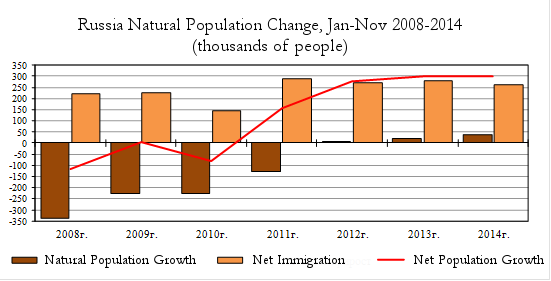 There are signs this is already happening, as net immigration fell from 277,000 in January-November 2013 to 246,000 in the same period this year. On the other hand, and somewhat tragically, this decline will be substantially or completely covered by increasing immigration of war refugees, draft evaders, political dissenters, and the plain immiserated from Ukraine. Even as overall net immigration fell, it rose via-a-vis Ukraine from 36,000 last year to 78,000 this year, and frankly this is probably a huge underestimate (other sources state it’s close to a million). This is a huge loss for Ukraine, but a boon for Russia; after all, Ukrainian immigrants don’t raise the sorts of subpar human capital and integration issues that Central Asians and Caucasians do. Three, cheaper vodka. Apparently vodka consumption dropped by more than 10% just between 2012 and 2013 — a very encouraging sign! But that’s likely to go into reverse this year, especially if the cut in price is accompanied by a relaxation of anti-alchohol campaigns and policies. Historically, the effects of changing access to alcohol have shown up pretty quickly in the numbers — you can pretty much spot the departure of Krushchev and the end of Gorbachev’s anti-alcohol campaigns just by staring at mortality statistics. So I’d expect a visible shift. The open question will be the magnitude. – Doug. Just to be clear, I agree that the decision to cut vodka prices from this February is a bad one. Putin justifies it by the need to prevent people from drinking more surrogates, but the empirical evidence indicates that prices are closely linked to overall consumption, which is in turn linked to mortality. While higher prices will increase illicit (and more dangerous) production, only a small percentage of people, typically the truly dependent and lost causes, partake in it anyway. That said, the 2010s are not the 1980s, and there are a number of differences between now and then that would imply that the effects of lowering vodka prices now will have fewer negative than back then. Despite the immediate effectiveness of Gorbachev’s anti-alcohol campaign – life expectancy instantly jumped up by two years – it was very much imposed top down and worked in a blunt, authoritarian, and frequently plain idiotic manner (e.g. the destruction of Crimean vineyards, which had absolutely nothing to do with Russia’s alcohol epidemic, at least as it related to population health). Its effects faded away almost as soon as the campaign dissolved away in the chaos of the Soviet collapse. In contrast, what occured in recent years was the introduction of many legal regulations which exist in the West – elementary things, like restrictions on advertising and banning vodka sales after 10pm and from kiosks – as well as a gradual change in tastes and mentality that have propeled a shifting preference for beer and wine over vodka. (This is good, since beer and wine isn’t near as bad for you as vodka). In 2014, vodka production in Russia fell by a further 22%. Deaths from alcohol poisoning today, while still much higher than in normal countries, are as of 2014 lower even than they were during the height of Gorbachev’s anti-alcohol campaign. There is also good evidence indicating that Russian demand for vodka is slowly but surely becoming largely delinked from its price, as is the case in any Western country. The modest decrease in the vodka price planned for 2015 will surely do not good, but it is highly unlikely to reverse or even stop the powerful trends that have been leading the decline in vodka bingeing for the past decade. 13 Comments to "Is Russia's Demographic Recovery at Risk of Reversal?" Was the price of vodka lowered after Khruschev was deposed? Why? I don't know, that's something that needs to be addressed to Doug, should he comment here. С 1960 по 1972 годы пол-литровая бутылка водки «Московская особая» стоила 2 рубля 87 копеек. Это последние годы правления Никиты Хрущева и первые Леонида Брежнева. Дальше Леонид Ильич дважды поднимал ценник на «беленькую». В первый раз - в мае 1972 года, когда пол-литра стали стоить 3 рубля 62 копейки, во второй раз - в 80-м году, когда ценник поднялся до 4 рублей 12 копеек. So yeah, the rise of the Soviet/Russian alcohol epidemic from the mid-1960s was not correlated to any particular price shift. ...you can pretty much spot the departure of Krushchev and the end of Gorbachev’s anti-alcohol campaigns just by staring at mortality statistics." I don’t know, that’s something that needs to be addressed to Doug, should he comment here. С 1960 по 1972 годы пол-литровая бутылка водки «Московская особая» стоила 2 рубля 87 копеек. Это последние годы правления Никиты Хрущева и первые Леонида Брежнева. Дальше Леонид Ильич дважды поднимал ценник на «беленькую». В первый раз – в мае 1972 года, когда пол-литра стали стоить 3 рубля 62 копейки, во второй раз – в 80-м году, когда ценник поднялся до 4 рублей 12 копеек. I’d be far more interested in seeing how the data and trends break down by ethnicity/religion. I'd be far more interested in seeing how the data and trends break down by ethnicity/religion. Vodka was seen as the drink of the old and destitute when I was in Moscow. Whiskey was the drink of choice for the 20-30 year old rich Muscovites. Really Russia has so much cheap and plentiful land that the population should really increase. Too many get sucked into Moscow though with its high cost of living. My experience was that vodka was favored by older people, but also military and FSB people. "Intelligentsia" preferred cognac. Younger professionals would drink beer or wine, but also cognac and whiskey for heavier drinking. I didn't really mix with poorer people, but someone is still drinking a lot of vodka there. 15 years ago it was simpler: generally, men drank vodka, women drank wine or champagne. I’d like to address the argument you made there in this thread, if I may. A bizarre alliance of neocons, Western chauvinists, crazy Russian nationalists, Islamist fanatics, and plain Russophobes have been peddling the imminent prospect of a Muslim-majority Russian Army and a Russabia ruled from the Caucasus Emirates for almost a decade. Speaking as a proud, defiant Russophobe, that has never been my contention. In fact, I’ve argued against demographic alarmists on this issue – though without hard data I had to rely on probabilistic arguments. Still, if we move beyond the straw man of “imminent Muslim majority” and consider political, cultural and – at the risk of being declared a “weather channel” [wink] operative – racial influence, I don’t think the data justifies your easy confidence. As a matter of fact, your own data demonstrates the very opposite: that the proportion is increasing at a sustained and “rapid” rate (it’s certainly rapid if applied over the long-term). Your graph has the Muslim republic birth proportion growing from 12% to 13% in only five years, before taking a brief tumble and then resuming its upward trend. What reason is there to believe this trend will not continue? As you yourself note, Muslim TFRs are already fairly low, so the rise in the proportion of births to Muslims cannot be attributed to Magommed and Ramazan having eight children apiece. As I see it, the statistic of central importance is the TFR differential. Before my hard drive died I had built a clunky and amateurish but, I believe, effective demography simulator for excel (I could accurately model 20th century population histories with it, so even if my assumptions were “curve fit” I’m sure I was on the right track). From memory, a 0.5 TFR differential could produce a 0.1-0.3% difference in annual population growth rate. Over a hundred years or two – ie long periods of time, but not so long that they are of no concern to us – such small, seemingly insignificant differences can dramatically alter the demographic balance. Now, with TFRs under replacement the growth rate of course becomes negative, so it’s not really a “growth” rate at all as the average person would understand that term. Indeed, with both populations declining one might be inclined to think “problem solved.” Yet the fact is the growth rate differential is as capable of dramatically altering the demographic balance in a declining population as in a growing one. If Group A’s population declines at an annual rate of 0.6% and Group B’s population declines at an annual rate of 0.3%, then over one hundred years Group A will have dropped to 42.6% of the country’s population and Group B will have risen to 57.4% of the country’s population. In two hundred years, Group A 35.3%, Group B 64.7%. In my book, this is dramatic. The obvious retort is that no one can possibly predict the distant demographic future so precisely. But precision is not the point. The point is that demographic change is best understood as a long-term phenomenon. If demographic trends abruptly jumped all over the place, such that say in the next five years Group A had a TFR of 3.5 and grew at 1.5% per annum while group B had a TFR of 1.7 and declined at 0.5% per annum, but in the subsequent five-year period the positions were reversed then one could justifiably disregard the trends in place, dismissing them as meaningless. But this is not how demographic trends behave. Demographic trends hold over long periods and only change fairly slowly therefore it is very important to pay attention to the demographic trend one’s group finds itself in at any one time, because the implications of that trend continuing can be momentous. Given the above, then, I am forced to regard Russia’s demographic future as hanging in the balance. Awareness is the first step in solving a problem and indications are that awareness exists in the highest circles in Russia. True awareness, however, is compromised when experts paint a misleadingly positive picture that leads to a false sense of confidence. I'd like to address the argument you made there in this thread, if I may. Speaking as a proud, defiant Russophobe, that has never been my contention. In fact, I've argued against demographic alarmists on this issue - though without hard data I had to rely on probabilistic arguments. Still, if we move beyond the straw man of "imminent Muslim majority" and consider political, cultural and - at the risk of being declared a "weather channel" [wink] operative - racial influence, I don't think the data justifies your easy confidence. As a matter of fact, your own data demonstrates the very opposite: that the proportion is increasing at a sustained and "rapid" rate (it's certainly rapid if applied over the long-term). As I see it, the statistic of central importance is the TFR differential. Before my hard drive died I had built a clunky and amateurish but, I believe, effective demography simulator for excel (I could accurately model 20th century population histories with it, so even if my assumptions were "curve fit" I'm sure I was on the right track). From memory, a 0.5 TFR differential could produce a 0.1-0.3% difference in annual population growth rate. Over a hundred years or two - ie long periods of time, but not so long that they are of no concern to us - such small, seemingly insignificant differences can dramatically alter the demographic balance. Now, with TFRs under replacement the growth rate of course becomes negative, so it's not really a "growth" rate at all as the average person would understand that term. Indeed, with both populations declining one might be inclined to think "problem solved." Yet the fact is the growth rate differential is as capable of dramatically altering the demographic balance in a declining population as in a growing one. If Group A's population declines at an annual rate of 0.6% and Group B's population declines at an annual rate of 0.3%, then over one hundred years Group A will have dropped to 42.6% of the country's population and Group B will have risen to 57.4% of the country's population. In two hundred years, Group A 35.3%, Group B 64.7%. In my book, this is dramatic. But this is not how demographic trends behave. Demographic trends hold over long periods and only change fairly slowly therefore it is very important to pay attention to the demographic trend one's group finds itself in at any one time, because the implications of that trend continuing can be momentous. Given the above, then, I am forced to regard Russia's demographic future as hanging in the balance. Awareness is the first step in solving a problem and indications are that awareness exists in the highest circles in Russia. True awareness, however, is compromised when experts paint a misleadingly positive picture that leads to a false sense of confidence. Estonia has developed a good digital strategy. Russian digital strategy? Not so good. Now everybody is losing their shirt. My experience was that vodka was favored by older people, but also military and FSB people. “Intelligentsia” preferred cognac. Younger professionals would drink beer or wine, but also cognac and whiskey for heavier drinking. I didn’t really mix with poorer people, but someone is still drinking a lot of vodka there. If I can be Estonian and yous can be Estonian we can all be Estonian. First of all, it’s “supersede”, not “supercede”. Second, births exceed deaths, they don’t “supercede”.